Guys I did this install over a year ago...so a little light on details. Here are the products I used. 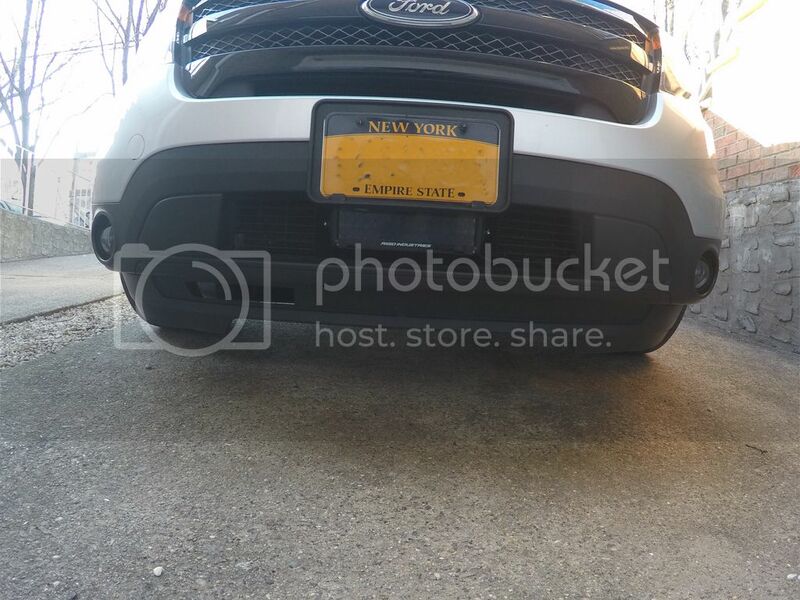 It was a tight fit but the bumper went back on fine. 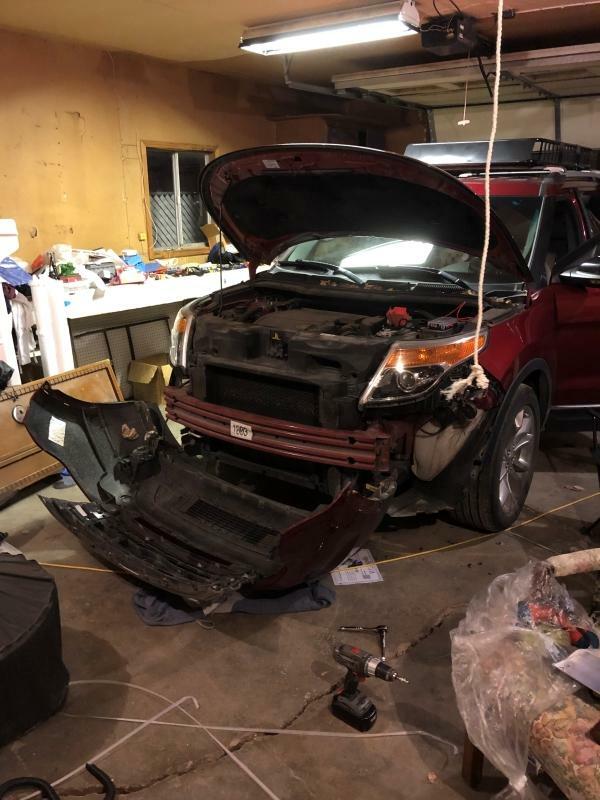 I used instructions for a bull bumper on how to remove the bumper. I did have to use some aluminum stand offs that I custom cut to fit. I used a wireless mictuning relay and have a remote in the cab. Works very well on rural back roads. I have a trans cooler which meant I couldn't mount it in the middle of the grill, although I would have loved to do that. After poking around a bit I decided to mount on the lower grill opening using some aluminum bar stock to support the plastic bumper. 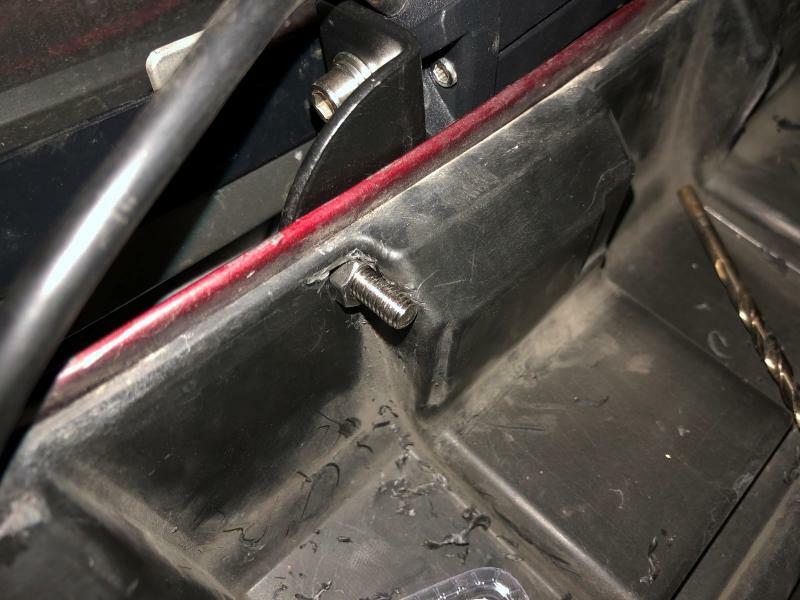 I was able to hide most of the wires and ran the switch through a grommet in the passenger side firewall. The light is a single row 21" but it's plenty bright. Can't speak for the running lights as I have a 2012, but the procedure is basically the same for any lights you want to tap. The easiest (in my opinion) hi-beam wire to tap is the wire going to the hi-beam bulb, which you can see by looking down the back of the headlight assembly (not much space back there however). If you have a basic power tester (I use one that has a little bulb that lights up when there's power, that you stick into the wire you want to test, so you'd stick it in the back of the connector for the light rather than poke a hole in your wire. You could also use a clamp power tester if you have one, or any other style) you can just test each wire to see when the hi-beam / drl lights have power vs not. The readout should be 0 when it's off. Then tap that wire for your new light's positive wire. One note, you may want to check the power draw of your new lights (if they're big) that they don't have some massive power-draw as then the fuse used for the lights that you tap may draw too much (you'd check the amps, not the voltage). Usually a lights-only fuse is ~15 amps, but you can see this in the Ford manual in the fuse section. On my 2012 I think I recall amp draw for low+hi-beams (LED) is about 4 to 4.5 amps per light, but this undoubtedly varies per car. If you have the light bar hooked into the high beams than I think you won't be able to use high beams on the road as I believe there is a limit to the amount of light that you can legally use on the highways. Have you looked into that? Probably won't pass a safety inspection. I think you'd be better off putting them on a separate switch. Thanks for the heads up. I don't have to pass safety or emissions inspections. I live in the country and could really use the extra light in the dark and rain. Picked up some nice new ultra slim profile lighting products recently. 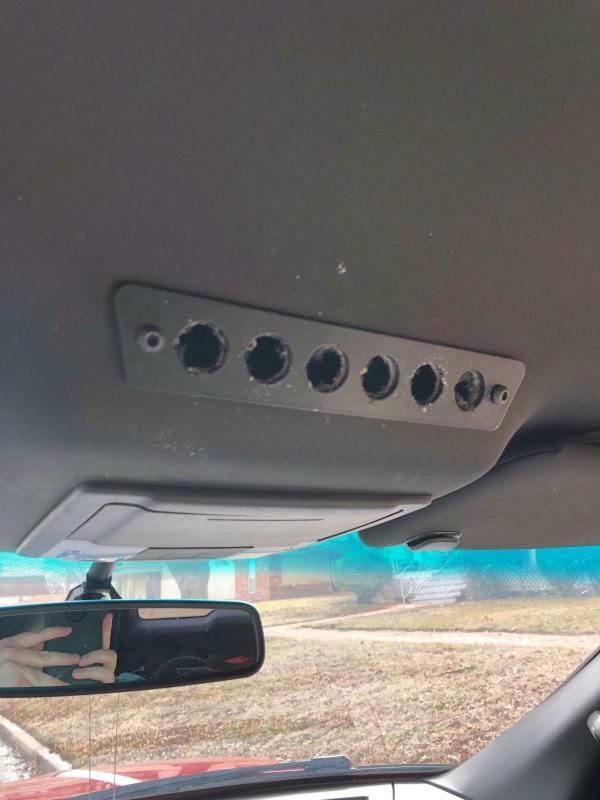 Planning on doing a hidden install of them behind the grille activated by a in cabin switch. Should be nice to supplement the lacking LED Reflector high beam throw. Few pics so far below. Depending on weather will determine how fast i get to this since its winter here. If you installed LED bulbs in a housing designed for halogen bulbs, that is the result you will get. The light may be brighter but LED bulbs require a specific housing because the light is produced differently. There have been several posts regarding the shorter distance. You probably would have been better off with the halogen. The high beam halogens in mine throw light quite a distance. Looking forward to the final install. I just bought myself a 2018 Explorer XLT in Black/Black, a big difference from my 1998 EX from over 10 years ago. As part of my dealer deal, I got 6 oil changes and 2x LED light bars install on my truck. My Appointment is for in about 10 days, and I am responsible for purchasing the LED light bars, fine with me! So Im thinking of installing them on the upper open areas. Now Im not sure if I should get a white upper and lower, a white upper and amber lower, or RGB bars becuase its fun; on both of them... Anyone have any experience with this on the 2016-2019 mode years? I've seen the cool orange explorer on Google, but am having a hard time finding a single LED bar that is also not very deep. Anyone install LED Light Bars or even better RGB bars on these trucks? pref 2016-2019 styles.. pretty please..
ghosted, your thread was merged with this existing one. So I have the light bars now in the mail. I have a 24" and a 20" RGB bar. The dealer is going to install them for me. 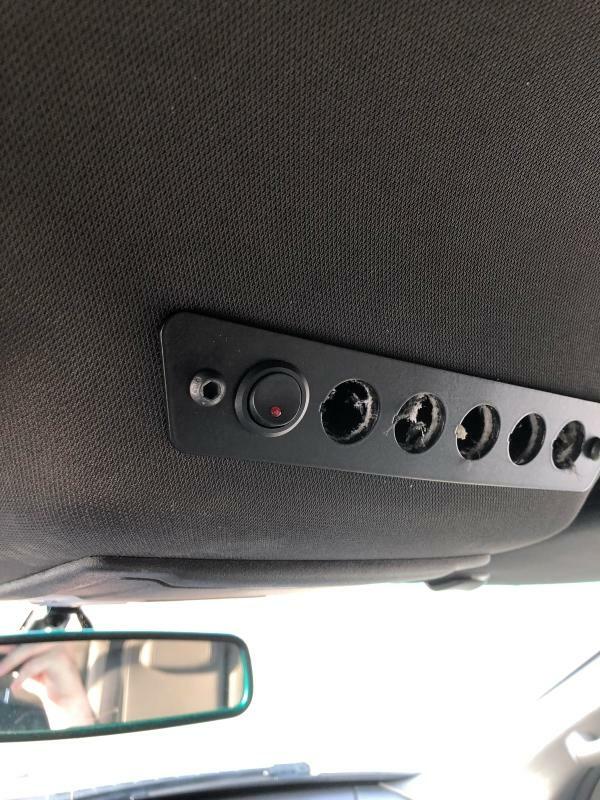 I've been looking everywhere for a stock looking aux lighting switch but haven't found much. Anyone with an interceptor care to chime in if you have any additional switches? I would love to pick up a stock looking interceptor part if i can find it to make the bars work. 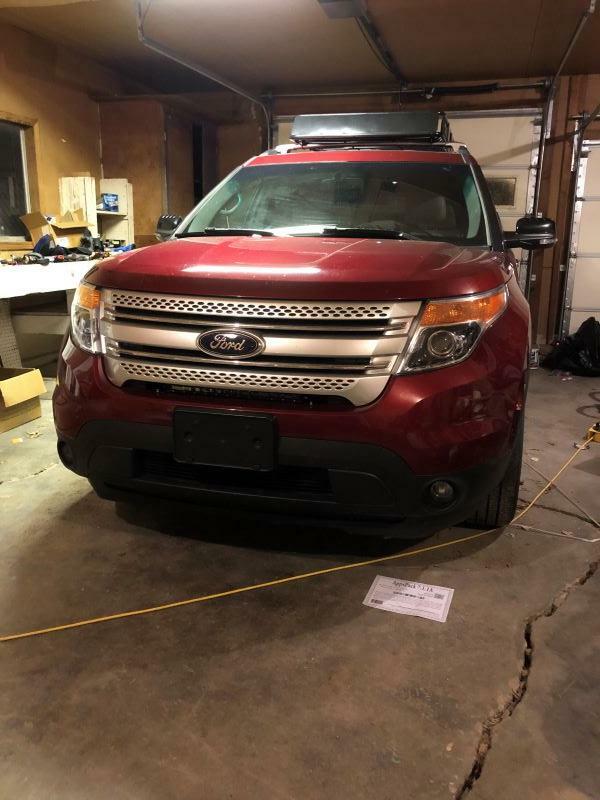 Looking for the best LED Light Bars to mount to a Setina Push Bumper (PB-400VS) on my 2014 Explorer Sport. 30-33" avail on upper bar / 20" avail on lower bar. Any help would be greatly appreciated! FYI, post #52 has a Setina with a light bar. Also, there is also another thread with a post showing a similar setup; Push Bar for Explorer. Also, check out this post #164 in the same thread. With lightbar. Might raise it up a tad. 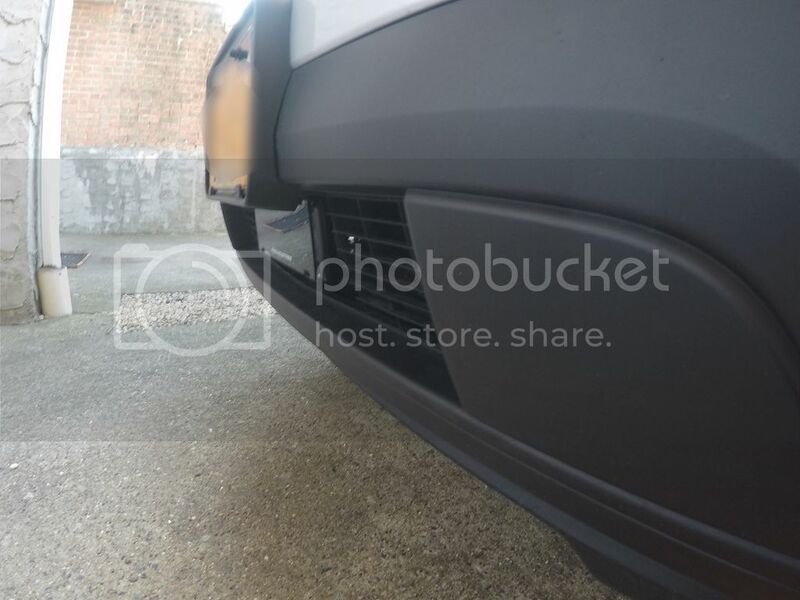 Do you have any pics of these two parts? The Ford online drawings don’t give a very good image. It's a custom Baer set up that uses their calipers, rotors and hats, I had to have brackets fabricated to make them work. Nice Explorer! I saw yours on the road today! Just curious what you mounted the light to? I have a 2013 XLT and that spot has nothing solid to bolt to. Thanks for any help you could give. 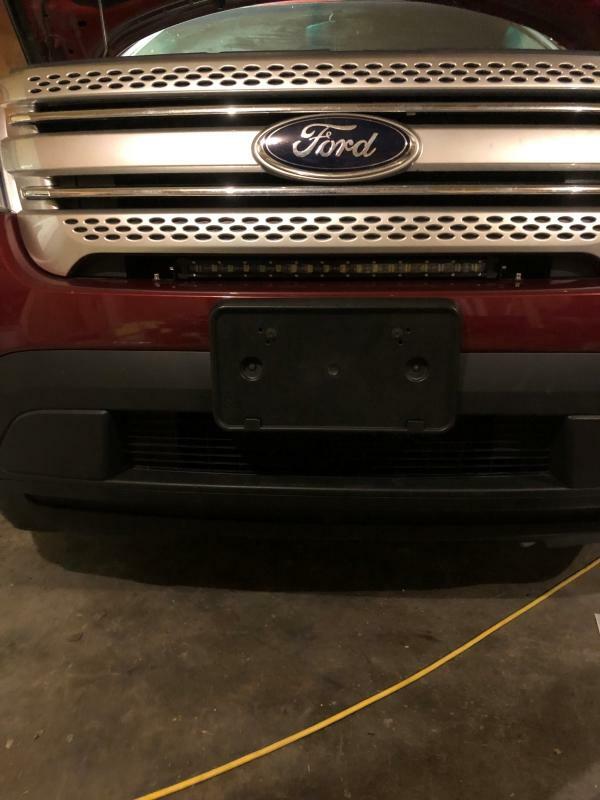 So I just put a lightbar in behind my grille. It was actually fairly easy despite how the photos look!!! I know that it looks very hard, but these fords are fairly easy to work on!!! It's a cheapo depot light from amazon that is $79. I bought the "spot" version just as the application site would make the fog version almost impossible. 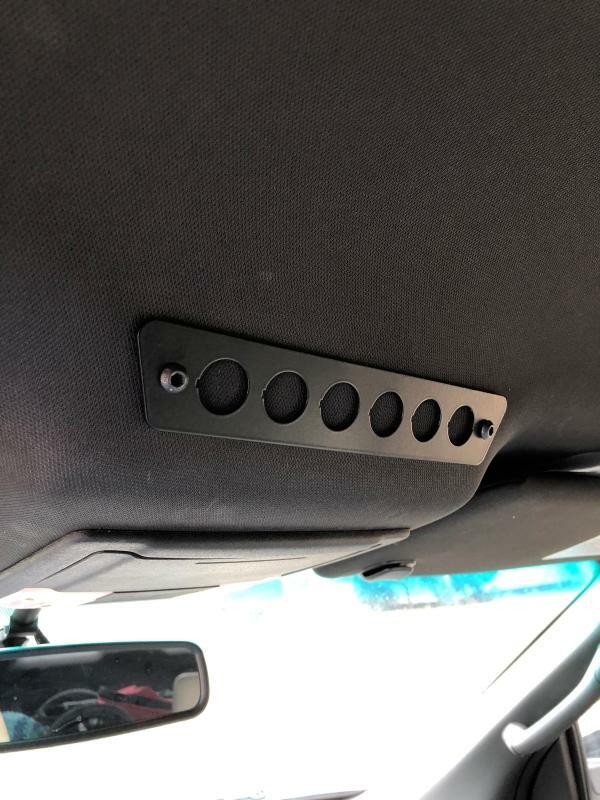 The light bracket is from Offroad Alliance ( Crown Offroad Auxiliary Switch Panel ) and I LOVE IT! 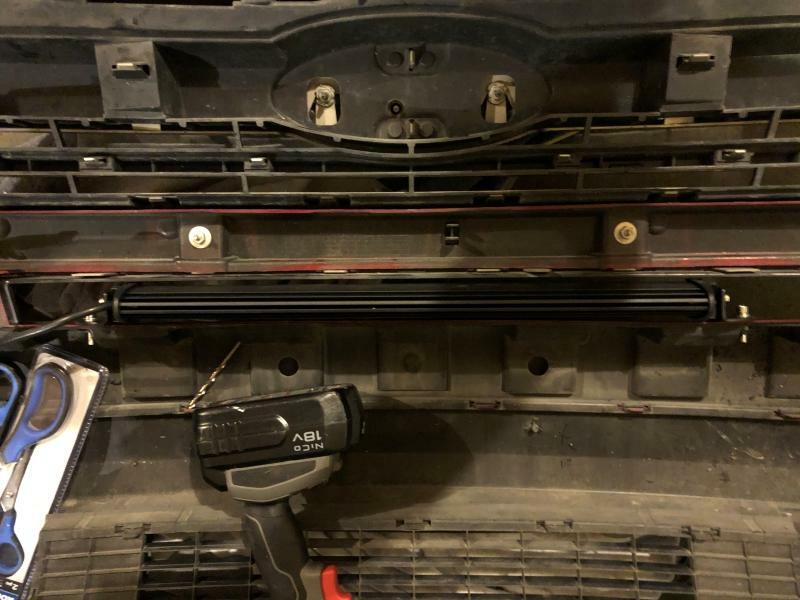 I ran the wires up behind the bumper support where the stock fog light wiring harness is currently. I will have more photos of the placement of the fuse block location, how I tied it all together etc, soon. FYI, pictures are not showing. To post pics on the site, you can use a 3rd party image hosting site, such as imgur, or you can take out an 'Elite Explorer' subscription ($20/annual) and upload straight from your computer.